Ive been wanting to try my hand and some CNC work and this project looked ideal. I already had a dremel engraver so I bought the rest of the hardware needed and got to printing. The whole thing came together surprisingly easily. 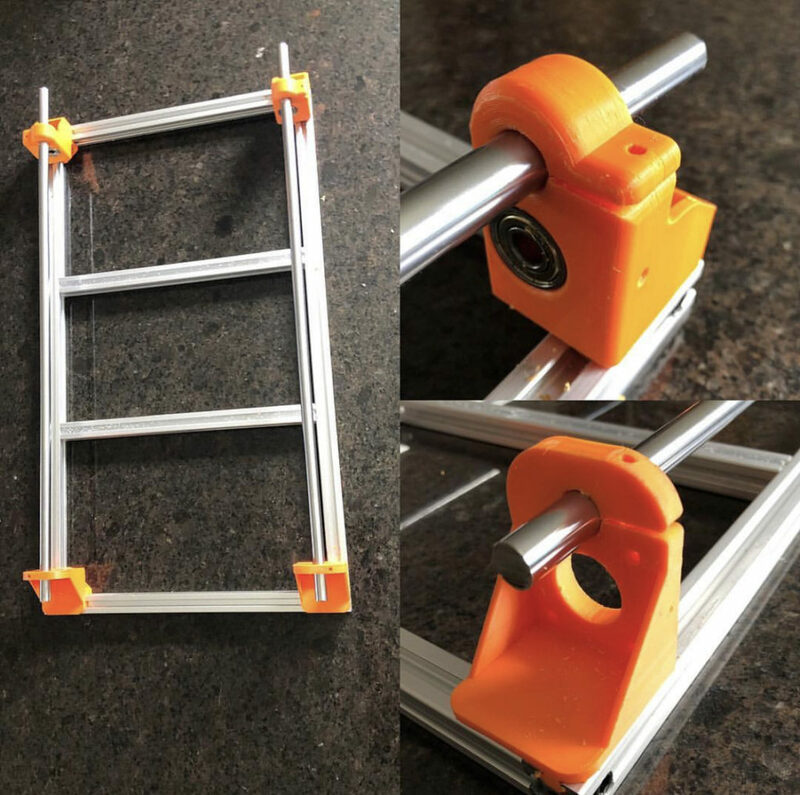 I did have to tweak the prints to allow all the components to connect properly, so if your printing your own I’d recommend you add some extra outside walls to your prints so you have enough material to do so. 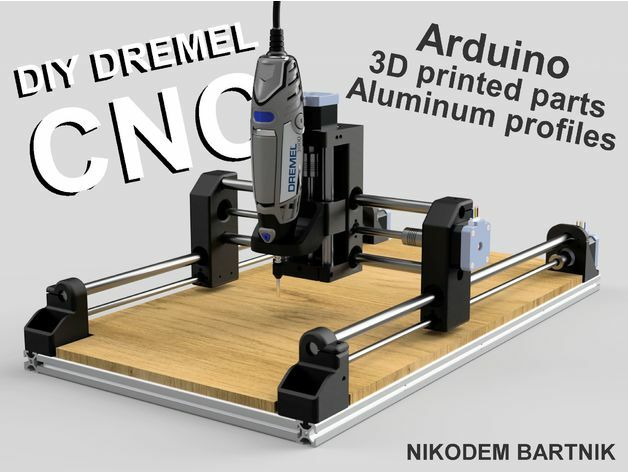 Controlling the machine is done with an Arduino and CNC shield which can be sourced on eBAY for under $20. Controller software is CNCjs which is free on GitHub (https://github.com/cncjs/cncjs/wiki). Nema 17 motors and cabling can also be sourced on eBay. For power I used an old laptop charger. Once I had the confidence to try cutting I installed the Dremel and a V bit and this was the result of my first routing job. To say I was impressed was an understatement! All that was left was to add a bed and tidy up the cabling and the machine was ready to go. 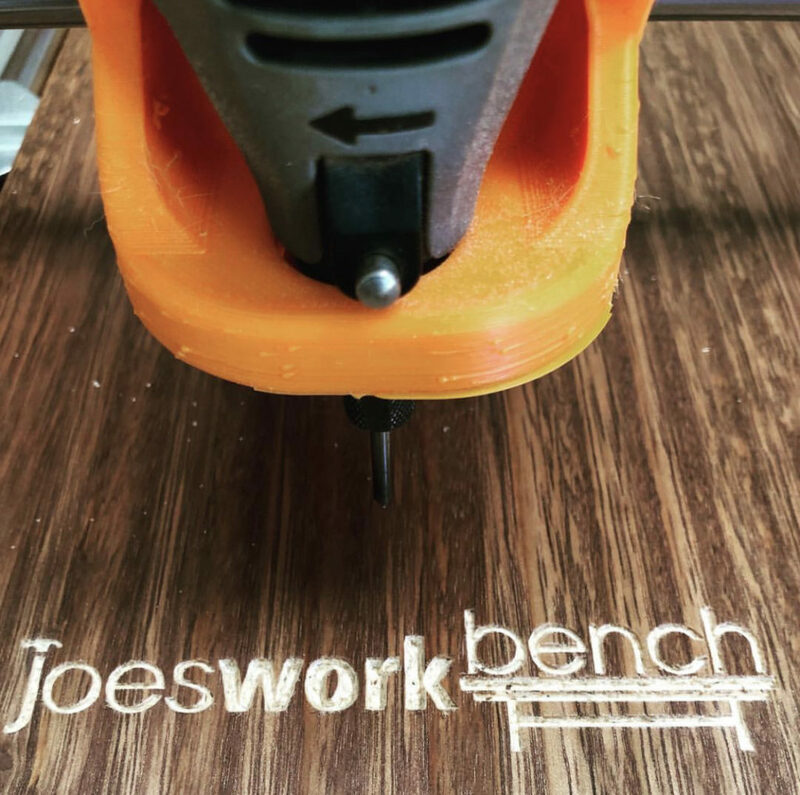 If you’re interested in dipping your toes in the world of CNC, I highly recommend you give this project a shot. NOTE: This design is still evolving and maybe have changed since this post was made.